PBS is great for period dramas and British exports on Sunday nights, and now that we’ve gotten the latest season of Downton Abbey and Sherlock out of our systems, the Public Broadcasting Service has its spring lineup ready and rearing to go. Call the Midwife might be a bit lesser known, but there are plenty of reasons to tune in for the drama beyond the fantastic British accents and lovely period setting. Without further ado, here’s five reasons to tune in for Call the Midwife’s big Season 3 debut, which will bow Sunday night at 8 p.m. ET. Most shows on television celebrate families and individuals living with plenty of material possessions. 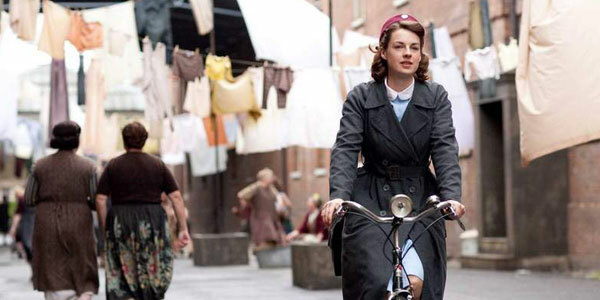 However, Call the Midwife takes a grittier look at life in East London in the 1950s. The deprived area of Poplar is faced with many challenges, including lack of access to medical care, a lack in access to the latest technologies and plenty more problems of a social nature. The show follows a slew of young midwives as they help a community recovering from the effects of World War II and attempting to get back on their feet. Many things have changed, but everyday, new babies are being brought into the world. I’m not saying that shows need to show poverty or even everyday people to be good, but Call the Midwife is great because it strikes a balance between explaining how hardship can affect a community while still managing a warm and outgoing tone. It’s a look at what real life was like during the post-World War II baby boom, including streets still littered with debris and families still suffering postwar effects, but most importantly, it’s a show for women and about women—strong women, stony women, bold women, happy women, tired women, thrifty, godly women, young women, old women, and new mothers. If any of those adjectives have ever applied to you or a loved one, you should give the series a shot. 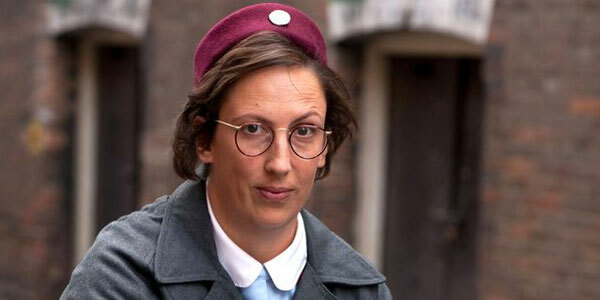 Call the Midwife found a true gem when the show signed on British comedienne Miranda Hart. The actress is most famous overseas for her sitcom Miranda, but in the States, it’s her Call The Midwife character who stands out. In Call the Midwife Hart plays Nurse “Chummy” Browne, a kind but bumbling young woman who washes out of high society but finds her niche in midwifery. Early in the series, Chummy didn’t really seem to fit into the world of the Nonnatus Nursing Convent, but headed into Season 3, the character has totally changed, making her one of the most interesting and also most surprising characters on television. Chummy is a loud and tall woman, making her a standout in any room. Despite this, she’s a kind-hearted and extremely loving individual with a brave and steady spirit. She adds some of the best humor to the series, and it’s humor of the Jimmy Fallon variety, often laughing at herself but never making mean-spirited jabs at her friends and coworkers. Over the years, she’s also capably crafted the reputation of being the teacher in the group, bravely introducing young mothers to new birthing techniques. Call the Midwife would be a very different show without its sense of humor, but thanks to Chummy, it’s another reason to watch the series. 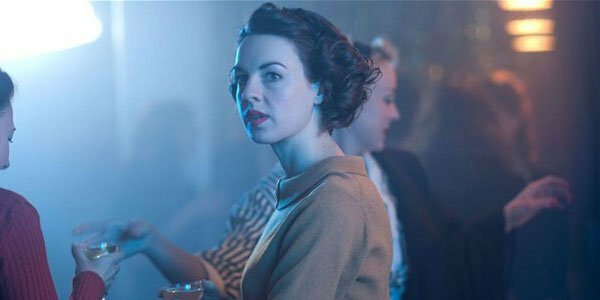 While Call the Midwife’s postwar vision of England places it into an unusual time period in television history, it’s also important that the show has been dynamic enough to change over a period of years. This season, we won’t be stuck dealing with saddle shoes and rockabilly music. Instead, we’ll be stepping into London in the swinging sixties, a time when culture and society will rapidly change. This should give viewers a chance to listen to new music and gawk at a shifting cultural viewpoint, but hopefully it means that our characters will also be growing and maturing in new ways. Call the Midwife has never tried to hide a cast that is very much in the throes of planning out the rest of their lives. Last season, a newly married Chummy headed off to Africa for a few episodes, while Sister Bernadette left the nunnery in favor of a married life. However, the show has three more young ducklings in Jenny, Trixie and Cynthia. They’ve each grown into capable adults in the series and Season 3 should each take them down even more interesting roads. I’ve already mentioned that the show is one for women and about women, but luckily it doesn’t come off as overly melodramatic. There’s always a drama going on, but the writers take great pains to incorporate it into the medical goings on. Perhaps more importantly, they don’t dwell on it either. Occasionally, one of the characters will make a huge life decision or have a good cry over a particularly affecting patient, but the camera never lingers too long on the sad moment. There are sick people to see to and business to take care of. Life always moves on for nurses with a neverending to-do list. That down to business approach is refreshing for a viewer. It’s nice to see the writers stay on topic, and it actually makes the forays into tough territory that much more interesting. If you like healthy doses of both comedy and drama in one helping, than Call the Midwife is a great show to be on board for. There are so many medical shows on television. Almost all of them are set in the present, solving their problems with complicated machines and cutting edge medical advances. Call The Midwife has the same sort of doctor and patient dynamic present as most other shows of its ilk; however, it solves the various ailments with the basic and competent strategies of yesteryear. It focuses on simple strategies for midwifery and a pleasant, intimate relationship between midwife and patient. Call the Midwife’s unique perspective has been a breath of fresh air. There are few times I’ve been more riveted to one spot during an episode of television than when a breach birth was accomplished on the series. While the show can occasionally be a little graphic, it’s a testament to the work midwives do every day, filled with plenty of ordinary, lovely birthing moments, but also plenty of extraordinary ones. 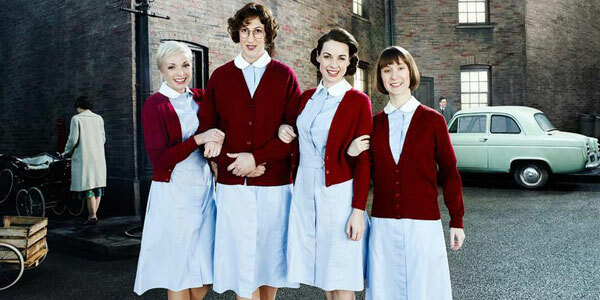 Call the Midwife hits PBS’ schedule on March 30 at 8 p.m. ET. For a look at the brand new season, check out the preview, below.